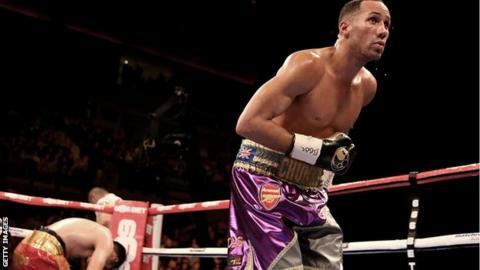 James DeGale has warned Andre Dirrell that he is due his first world title as he prepares for their IBF super-middleweight fight in Boston on 23 May. "My time is here and I am going to be crowned the IBF world champion," said 29-year-old DeGale. "When the pressure is on and I am a little nervous, that's when I come into my own, I relish it." DeGale has lost just once in 21 fights, when George Groves shaded a tight decision in May 2011. Since that defeat DeGale has won his next 10 fights - most recently stopping Marco Antonio Periban in the third round of an impressive display in November. American Dirrell's only defeat in 24 fights came via a split decision against Carl Froch in Nottingham in October 2009.